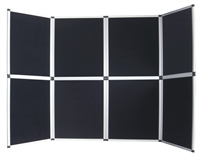 SignworldAmerica.com has a warehouse inventory of Panel Display boards in 3 panel, 4, 6 and 8 panel models constructed of durable and lightweight aluminum. 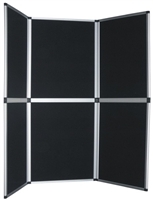 Panel Displays come with double-sided Velcro backing and Velcro strips. Same day shipping is available for orders placed before 1pm PST (4pm EST).